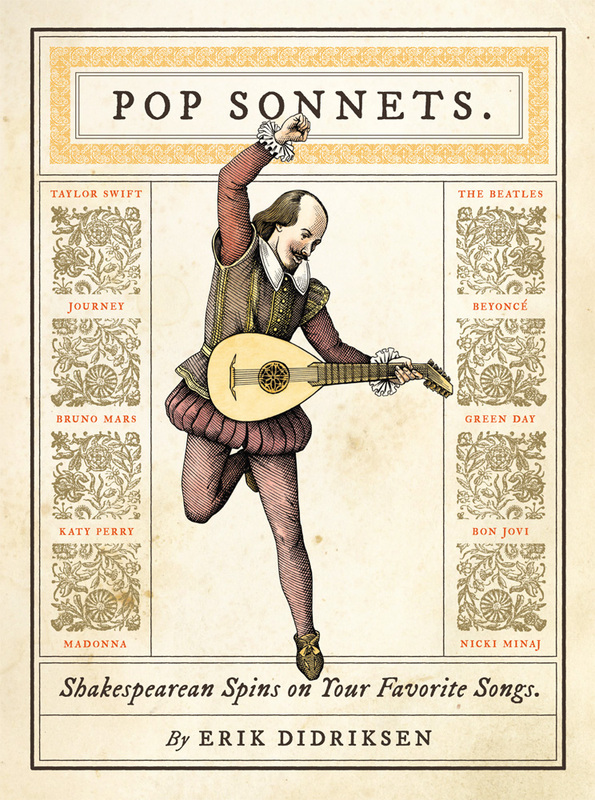 The Bard meets the Backstreet Boys in Pop Sonnets, a collection of 100 classic pop songs re-imagined as Shakespearean sonnets. All of your favorite artists are represented in these pages--from Bon Jovi and Green Day to Miley Cyrus, Beyoncé, and beyond. Already a smash sensation on the Internet--the Tumblr page has 50,000+ followers--Pop Sonnets has been featured by the A.V. Club, BuzzFeed, andVanity Fair, among many others. More than half of these pop sonnets are exclusive to this collection and have never been published in any form. I love Shakespeare, and when you mash it up with pop music, it makes for some enthralling reading. I can't believe how much I loved this collection though. My favorite sonnet was a Bruno Mars adaption of Just The Way You Are. It was beautiful. I read it aloud to the hubby and he even agreed. When I read the adaption of Red Hot Chili Peppers song, Under The Bridge, I felt the melancholy so much deeper. It was beautiful. When I read the adaption of The Animals House of the Rising Sun, it felt more dark and powerful. It was beautiful. I couldn't see why anyone wouldn't enjoy this ditty. It's quite a unique spin on already fantastic lines. I have a couple of musically inclined friends who would find this a lot of fun!